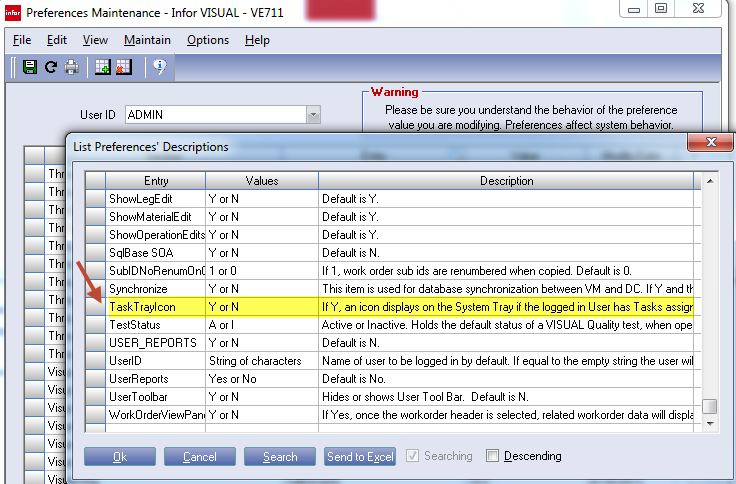 Did you know that you can create VISUAL Task Notifications? Learn this trick and you won't miss an important VISUAL Task again! VISUAL Tasks are generated from processes you define in ECN (Engineering Change Notice), Purchase Requisition, and Workflow modules. This is an excellent feature of VISUAL since it allows you to keep track of things that need to get done, and who should be doing them. Users will need to go to Task Maintenance from the Purchasing or Eng/Mfg menu to see any tasks that have been assigned to them. **Note**Task Notifications are not effective if people forget to go into Task Maintenance to check on their open tasks, and to see if they have new items that have been assigned to them. 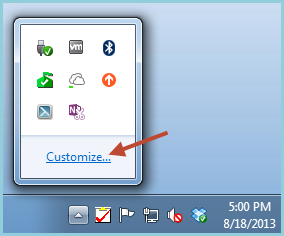 Choose "Customize" for Windows Tray and select "Show Icon and Notifications"
This needs to be done for all users who have tasks assigned to them (or use SYSADM to apply to all users). Part II | Your company needs an ERP system. Where do you start? A Four-Part Series that will take you through the basics of evaluating and selecting the right ERP system for your organization. I have seen many companies struggle in this area of the ERP Selection Process, and few things are worse than getting to the table with the software vendor and not having a clear cut set of objectives. To come up with a good objectives list, invite everyone if possible - especially the people who will not be part of your ERP selection team- to contribute to the list. After coming up with a solid list- organize, prioritize and select the top three to five items that your company needs to achieve. This is your focused vision for your organization’s ERP Implementation. Do the executives in your company agree with the selection team’s vision? If they do not agree, either convince them of your wisdom, or modify the list to meet the Executive vision. At the end of the day, your team must agree on your company’s objectives- you’ll be judging all of the ERP software packages on how well they will help you achieve that list of objectives. Check out the whitepaper ‘How to Start Down the ERP Selection Path’ for more tips on creating an ERP Selection Team.